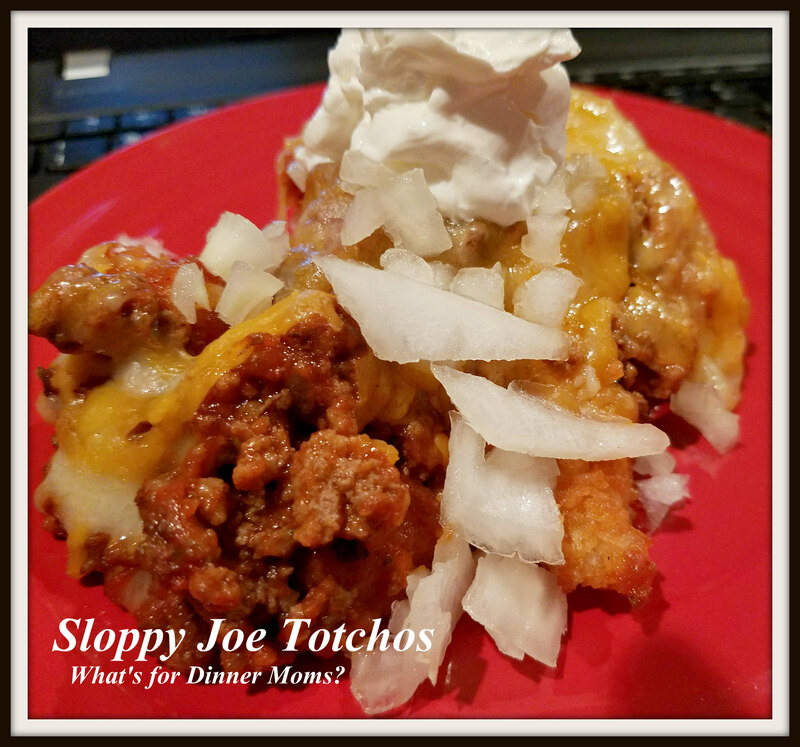 Sloppy Joe Totchos – What's for Dinner Moms? January is usually a tough month financially in our house as I am sure it is in houses across the country. I try to spend little to no money on groceries as we pay off December bills and do a bit of traveling for my daughter to dance. We had a great weekend in Wisconsin last weekend in West Bend (northwest of Milwaukee) but hotels, dance fees, food, and gas all add up quickly. So, ground beef and chicken have been on sale recently. How to use them so that we don’t feel like we are eating the same food every night? 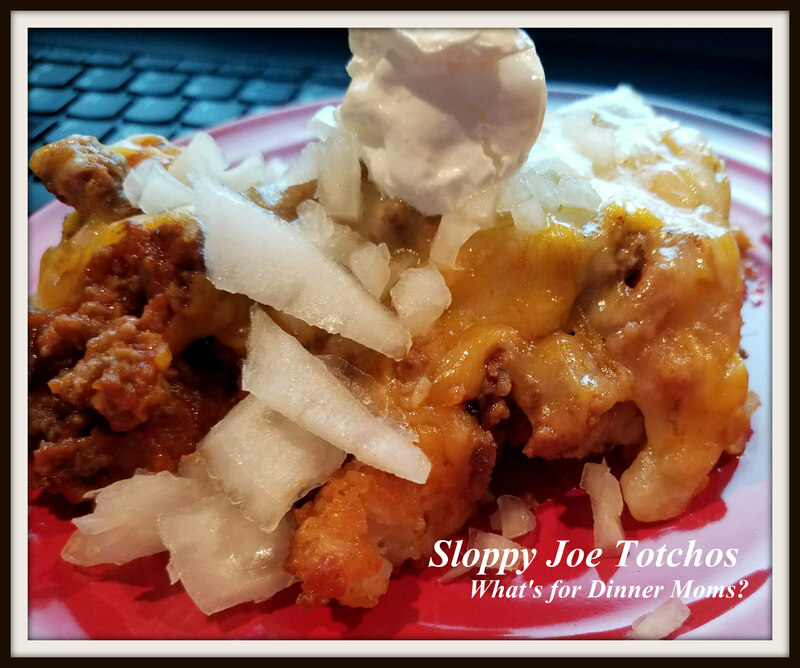 Sloppy Joe Totchos was perfect. It made us feel like we were eating bar comfort food and seemed a bit different from regular sloppy joes or hamburgers. This was a delicious comfort food. We baked the potato puffs first to make them nice and crispy and then added the sloppy joe mixture over the top with lots of shredded cheddar cheese. A quick trip under the broiler and then the fun begins! Add your choice of toppings – sour cream, onions, jalapeno peppers, hot sauce…. We serve this with a side salad to complete the meal. In a large skillet on medium-high heat, brown up the ground beef. Once meat is cooked through, drain any excess fat. Add garlic, onion, garlic powder, salt, pepper, Worcestershire sauce, paprika, mustard, brown sugar and ketchup to the skillet. Combine this well so everything is combined. Cover and cook on low for 30 minutes until sauce thickens and is warmed through. Taste and adjust spices as needed. While the sloppy joes are cooking bake the tots, according to package directions, until baked nice and crispy. Remove from the oven and add sloppy joe mixture over the tots topped with shredded cheddar. Return pan to broiler. Allow cheese to melt and become bubbly about 2-3 minutes. Remove pan from oven and serve hot with choice of toppings. That meal looks great. 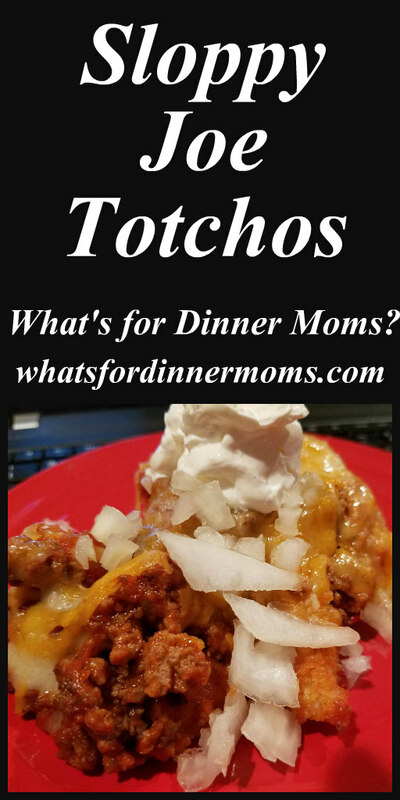 We are always looking for cheap meals to make because we travel on a right budget. Thank you for your post, we will definitely try this meal. Thank you! I hope you like it! !